The trains’ maintenance needs to be done as quickly as possible so that the vehicles can be brought back into service without delay. In the future, Siemens Mobility will speed up the procurement of spare parts – by using 3D printers that can quickly manufacture the parts in its maintenance depots worldwide. That cuts the fabrication time by up to 95 percent. This and further advantages of this new way of working can already be seen at the new Rail Service Center in Dortmund, Germany. Those who visit cities that have a tram or commuter rail system quickly notice that trains and streetcars tend to look very different from city to city. For example, some cities have low-floor trams with a very low entryway, while others have tram stations with high platforms. All different types of rail systems can be found because every public transport operator has its own unique requirements. Siemens also offers a wide range of rail-vehicle types and variants. However, this variety can make maintenance and repair operations at depots a challenge because it means that many different types of spare parts have to be used. Public transport companies want to be able to service their rail vehicles quickly so they can get them back into operation as soon as possible – ideally within one day at the latest. This means that spare parts also need to be obtained quickly. 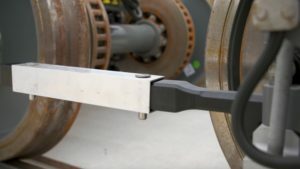 Unlike the case with automobiles, however, rail-vehicle components tend to be complex in their design and are generally manufactured in small numbers. In other words, spare rail-vehicle components are usually only manufactured, cast, or milled as needed, and it can easily take several weeks or even months for such components to be delivered after they’re ordered. That type of time frame would be unacceptable for a public transport operator, however. 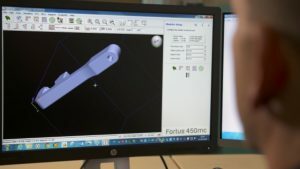 “Over the next few years, we will establish a complete network of digital printers at our various locations worldwide and link them with our headquarters in Erlangen, where we operate a Center of Competence for 3D printing,” says Michael Kuczmik, Head of Additive Manufacturing at Siemens Mobility. A total of 88 such maintenance projects are currently being conducted around the globe. “For some time now, we’ve been manufacturing spare parts in Erlangen and sending them to the various depots,” Kuczmik explains. Shipping takes time, however, and it’s clear that using 3D printers to manufacture parts at the depots themselves shortens the maintenance process. “The use of 3D printers at our depots marks a major step forward,” says Kuczmik, who along with his colleagues expects to achieve significant cost reductions as a result. Until now, for example, it was necessary to order a minimum quantity of components from a supplier. In addition, the use of Additive Manufacturing reduces the amount of warehouse equipment needed while also ensuring that spare parts can be made available more quickly. Plans now call for the fused deposition modeling method to be used also to manufacture rail-vehicle interior paneling components in Dortmund. Such paneling may be needed, for example, if rowdy soccer fans go on a rampage in a train or tram after a match and there are no replacements in stock. “The RRX Rail Service Center in Dortmund guarantees its customers a high level of rail-vehicle availability,” says Kuczmik. “That means we have to get rail vehicles up and running and back to the customer as quickly as possible.” This principle applies not only to regular maintenance but also unexpected events such as accidents or vandalism. Plastic 3D printing allows the experts in Dortmund to repair the damage quickly. It used to take as long as several weeks to manufacture a spare part – but the 3D printer can now produce such components in just a few hours.This solution cuts spare parts fabrication time by up to 95 percent. Plans call for additive manufacturing to soon be used for rail-vehicle maintenance in the U.S. and Russia as well. Spare parts for American rail vehicles are still printed in Erlangen and shipped to the U.S.